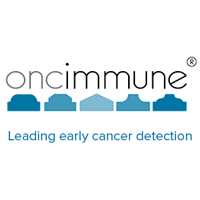 Stock in Oncimmune Holdings PLC ticker code: LON:ONC has gained 11.11% or 12 points during the course of today’s session so far. Buyers seem confident throughout the session. The period high has peaked at 120 and a low of 111. The volume total for shares traded up to this point was 7,891 while the daily average number of shares exchanged is 17,839. A 52 week high for the stock is 150 which is 42 points in difference on the previous days close and a 52 week low being 77 a difference of some 31 points. Oncimmune Holdings PLC now has a 20 SMA at 93.85 and now a 50 day moving average at 104.97. The current market capitalisation is £73.95m at the time of this report. The stock is traded in GBX. Mcap is measured in GBP. This article was written with the last trade for Oncimmune Holdings PLC being recorded at Thursday, December 13, 2018 at 11:13:56 AM GMT with the stock price trading at 120 GBX. Stock in Paddy Power Betfair PLC with company EPIC: LON:PPB has stepped up 1.17% or 75 points during today’s session so far. Market buyers have so far held a positive outlook throughout the trading session. The period high was 6475 and a low of 6350. The number of shares traded by this point in time totalled 95,252 whilst the average number of shares exchanged is 323,074. The 52 week high is 9184.9 which comes in at 2799.9 points difference from the previous close and the 52 week low at 6000 is a variance of 385 points. Paddy Power Betfair PLC now has a 20 SMA at 70.15 and now its 50 day moving average now at 68.14. The market capitalisation currently stands at £5,162.91m at the time of this report. The share price is in GBX. Mcap is measured in GBP. This article was written with the last trade for Paddy Power Betfair PLC being recorded at Thursday, December 13, 2018 at 12:02:06 PM GMT with the stock price trading at 6460 GBX. The trading price for Predator Oil & Gas Holdings PLC company symbol: LON:PRD has increased 5.77% or 0.47 points throughout today’s trading session so far. Buyers have remained optimistic throughout the session. Range high for the period has seen 8.66 and a low of 8.16. Volume total for shares traded at this point reached 376,313 with the daily average traded share volume around 709,645. The stock 52 week high is 9.93 about 1.78 points in difference on the previous days close and a 52 week low being 1.9 a difference of some 6.25 points. Predator Oil & Gas Holdings PLC now has a 20 SMA of 6.65 and the 50 day moving average of 6.49. The market cap now stands at £8.63m at the time of this report. The currency for this stock is Great British pence.Market cap is measured in GBP. This article was written with the last trade for Predator Oil & Gas Holdings PLC being recorded at Thursday, December 13, 2018 at 11:56:55 AM GMT with the stock price trading at 8.62 GBX. 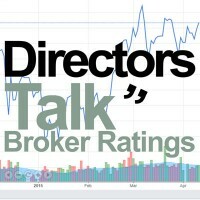 The share price for Royal Bank of Scotland Group plc company symbol: LON:RBS has climbed 1.15% or 2.4 points throughout today’s trading session so far. Traders have remained optimistic throughout the trading session. The period high was 214.8 and hitting a low of 208.7. The total volume of shares exchanged so far has reached 5,891,722 with the daily average number around 26,451,620. The 52 week high price for the shares is 304.2 some 95.7 points difference from the previous days close and the 52 week low at 200.1 which is a difference of 8.40 points. Royal Bank of Scotland Group plc has a 20 SMA of 222.13 and now a 50 day MA at 235.71. The market capitalisation currently stands at £25,410.29m at the time of this report. The currency for this stock is GBX. Market cap is measured in GBP. This article was written with the last trade for Royal Bank of Scotland Group plc being recorded at Thursday, December 13, 2018 at 12:02:13 PM GMT with the stock price trading at 210.9 GBX. Click ONC PPB PRD RBS for the full archive.